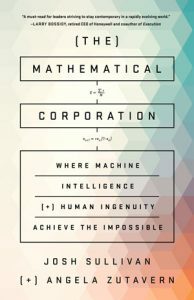 This is an extract from a new book, The Mathematical Corporation: Where Machine Intelligence and Human Ingenuity Achieve the Impossible (out last month as an ebook, but not available on paper until September). The focus in the extract focuses on the ethics of data, with a simple explanation of differential privacy and some equally simply philosophical starting points for thinking about ethical questions. There is nothing very remarkable in this extract, but perhaps worth a look for two reasons. The first is that the book from which it comes has a lot of promise; the second is a trenchant call to arms in its final line: ethical reasoning is about improving strategic decision making. A neat example of lateral thinking (and of the power of data) in government service design – can we make services more efficient by spreading demand and so lowering the expense of peak capacity? As the post itself acknowledges, that won’t magic away the demand pressures on public services, but it does illustrate the value of what we might call second level optimisation – one above trying to maximise efficiency of the current way of doing things, and one below a more radical reconceptualisation of the service as a whole. All three are necessary, but the one in the middle is perhaps the one most easily overlooked. This is a short sharp summary of how biases affect AI design and what to do about them, reaching the conclusion that government oversight is essential (though not, of course, sufficient). There are interesting parallels with Google’s in house rules for working on AI, so worth reading the two together. Including this link is slightly indulgently self-referential, for reasons which will be apparent to anybody who reads the last fifth of this article – but there is value in the first four fifths regardless of that. More generally, aggregators of good things from across the web are to be welcomed, and others will get mentioned here from time to time. As Benedict Evans once put it, “All curation grows until it requires search. All search grows until it requires curation.” This is where curation is celebrated. Not at first sight an obvious entry for inclusion here, but indirectly very relevant to thinking about the impact of change on large organisations. The size and complexity of organisations, it is argued, is a function of the relative costs of internal control and market transactions – whether it’s cheaper to make or to buy. That is in turn in part a function of the cost and availability of information. And so the conclusion is reached that digitally-based organisations will be smaller and fleeter of foot than their predecessors and that large ungainly organisations of the pre-internet era are doomed to extinction, with government in their current form being among those whose demise is inevitable. In some circles, that conclusion is seen as an obvious one. Farrell’s argument is that something critical is missing from the analysis, the self-interest of individuals, and that when that is factored in, the picture looks very different. That matters not to justify slow change in large organisations, but to explain that power relations are a critical part of understanding the overall situation. And as long as they remain unequal, the pop up employer is likely to remain intriguing at the margins, rather than central to how stuff gets done. Organisations exist to get things done. They are necessary because they solve problems ranging from communication and co-ordination to moral hazard. But in principle, if we could find other ways of solving those problems, we wouldn’t need organisations any more – at least of the traditional kind. This article gives some examples of where that is starting to happen, by assembling not just project teams, but project organisations, created to meet a specific need and disbanded as soon as that need is met. The examples given show that it can work, but they don’t and can’t show that it can scale, and there may be good reasons to think that it can’t. But that doesn’t stop the idea being a good challenge, particularly to those in organisations which don’t tend to think about organisational change in quite those terms. What’s the best way to arrange the nearly 3,000 names on a memorial to the victims of 9/11 to maximise the representation of real world connectedness? Starting with that arresting example, this intriguing essay argues that collection, computation and representation of data all form part of a system, and that it is easy for things to go wrong when the parts of that system are not well integrated. Focus on algorithms and the distortions they can introduce is important – but so is understanding the weaknesses and limitations of the underlying data and the ways in which the consequences can be misunderstood and misrepresented. A useful ladder of intervention for policy makers, which refreshingly treats legislation as the last possible intervention, not the first. As with other Policy Lab products, its value comes from prompting better questions rather than from providing direct answers, so the ladder may seem more ordered than the real world of policy development tends to be – which doesn’t stop it being good food for thought. But the post doesn’t really answer the question very firmly posed by its title, Paul Maltby’s post may be a better place to start for that. If machine learning is not the same as human learning, and if machine learning can end encoding the weaknesses of human decision making as much as its strengths, perhaps we need some smarter ways of doing AI. That’s the premise for a new Google initiative on what they are calling human centred machine learning, which seems to involve bringing in more of the insights and approaches of human-centred design together with a more sophisticated understanding of what counts as a well-functioning AI system – including recognising the importance of both Type I and Type II errors. Artificial intelligence is more artificial than we like to think. The idea that computers are like very simple human brains has been dominant pretty much since the dawn of computing. But it is critically important not to be trapped by the metaphors we use: the ways in which general purpose computers are not like human brains are far more significant than the ways in which they are. It follows that machine learning is not like human learning; and we should not mistake the things such a system does as simply a faster and cheaper version of what a human would do. What counts as minimum viable competence for public servants (or indeed anybody else) in the modern age? This post is a robust challenge to the false modesty of digital incompetence, which is heard much less often than it used to be, but is still too often not far below the surface – and still reinforced by working environments which have yet to break free of the twentieth century. Most people think that if they had a basic income, they would do something creative and constructive with it. Most people think that if other people had a basic income, they would laze around. Understanding which is right – and understanding whether there is any meaningful distinction between them – is an important element in planning for the future of work. Jakob Nielsen has been writing about usability since the dawn of the web. His approaches seemed to go out of fashion for a while, but there has always been a lot of evidence-based common sense in his approach. This post uses OECD data to demonstrate just how limited digital skills are, even in the most advanced countries and draws out the critical point that people who design, build, or even vaguely think about online sites and services are massively unrepresentative. Or to put it another way, we can never be a normal user of our own services and even bus drivers aren’t like passengers. It is though curious – presumably as a consequence of the way the research was done – that the test tasks described are very work focused. It would be interesting to know if task context and familiarity at least partly countered task complexity. Continuing the theme of how digital and policy people are more powerful when aligned than each is when operating separately, this post has lots of insights about how to make that happen in practice. Empathy, vulnerability and culture are as important as communication and collaboration. And as the company Harry leads has deservedly has just won an award for being the best digital SME workplace, his thoughts come with some authority. Accountability holes? Desert spaces? Orphan ideas? Buy the tent, occupy the street. Big organisations have things which aren’t quite anybody’s job to do, so they don’t get done. Small organisations tend to solve that problem partly by making everybody’s role much more fluid, and partly by reducing the overheads of the collective action problem. Big organisations find that hard because they manage complexity through structure – which is fine for things which go with the grain of the structure but can be very difficult for things which cut across it. That can lead to situations where – in a neat phrase from this post – ‘the indecision is final’. The solution advocated here is a simple one: if spaces are unoccupied, occupy them. If we are going to get smarter about how things get done in government, and in particular are serious about melding the strengths of the different tribes into a whole which is stronger than its parts, how do we make that happen. 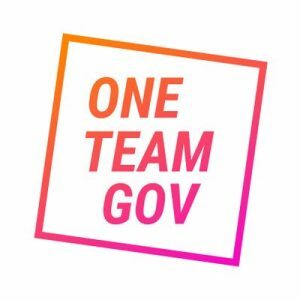 This post lists seven principles for building a one team government community – and then invites people to sign up to join that community.